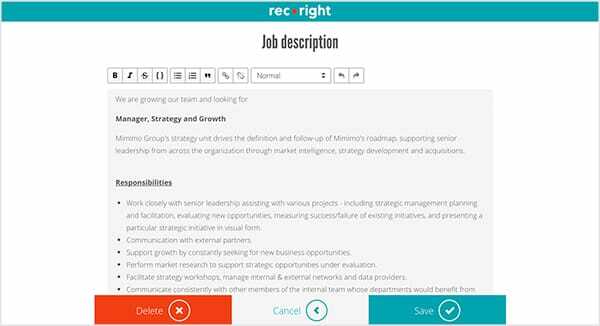 Choose the information you want to ask from the candidates and publish your open position. We host your career page and you can easily share the link anywhere. 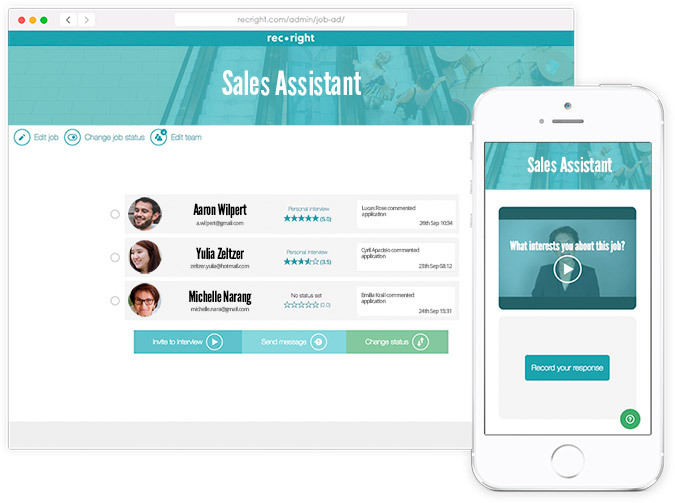 Your employer image improves with efficient candidate communication. Career page and application form are both fully mobile responsive. You don't want to miss any talent due to complicated application form! Increase trust and reduce bias by involving more people in the recruiting process. 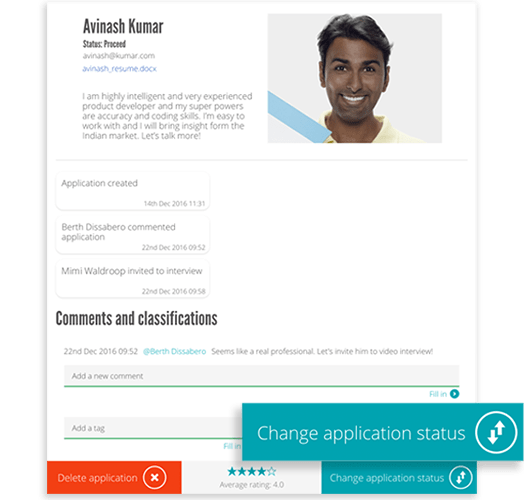 Dashboard view gives you and your colleagues an immediate understanding of how your recruitments are proceeding. 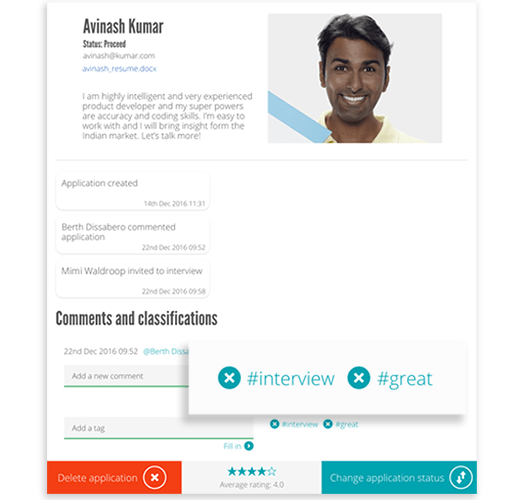 Spot new applications and monitor progress of your recruitments with ease. Doesn't require heavy installations nor long-term decisions. We will always support you and your candidates. Our support team makes sure that the candidates turn to us if they need help in replying. 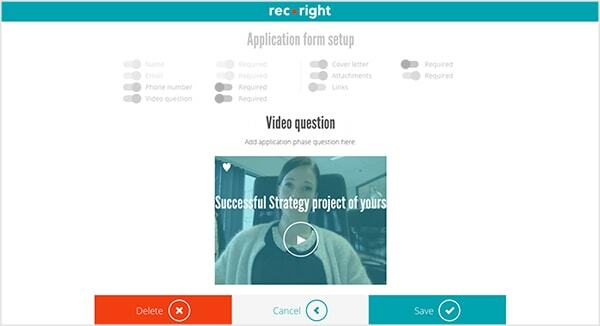 Just log in and start using video recruitment tool. It is as simple as it sounds. Dead simple, highly secure with industry-proven standards. Your data will be stored in the EU area. 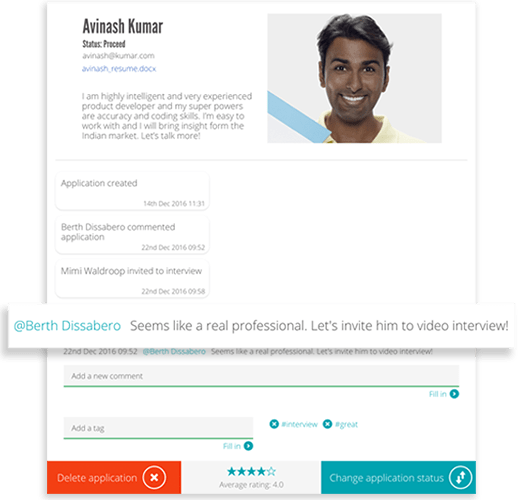 ATS Job Feed™ bring job ads automatically to your company’s website. 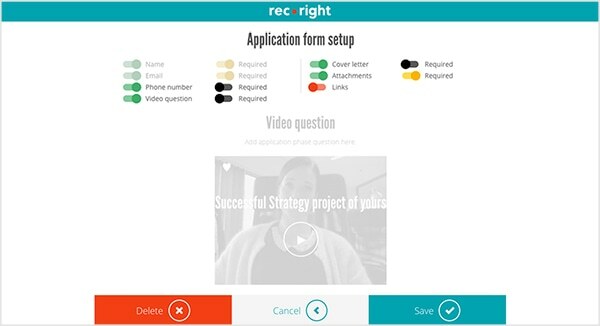 RecRight applicant tracking system and video interviewing platform are created according to the GDPR requirements. 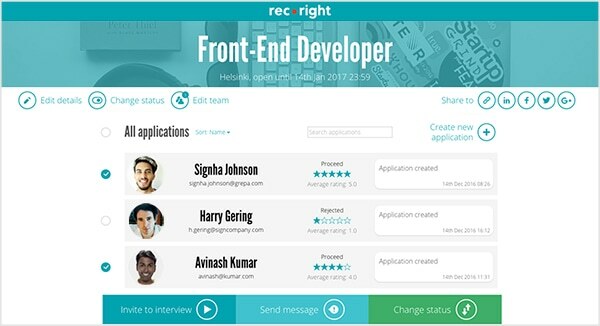 RecRight is super easy to use. Try it for free and see for yourself. Something went wrong. Please check that your email is written correctly. Check your email and register through the link we sent you.